Home / Commentary / Nepali Netbook / What’s going on upstairs? 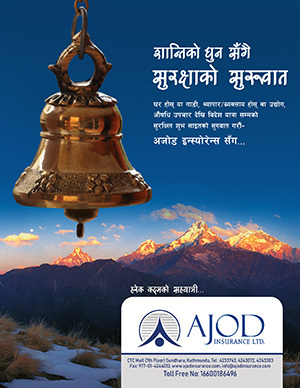 He wants to do something good for Nepal for a decade and ‘go upstairs’. At one go, Pushpa Kamal Dahal ‘Prachanda’ has sought to silence the term-limits crowd and shore up the standing of his profession. If he succeeds, it would be a heck of an accomplishment. Even to attempt it is no mean feat. Yeah, you could quibble over our former Maoist supremo’s audacity to aspire to the abode of the angels, given his official atheism and blood-soaked legacy. But, then, the man does deserve a break, given all that he has gone through. No longer the inscrutable Fierce One, Dahal has molded himself to the times with such facility that we’ve stopped counting his flips and flops. Gone is the I-won-the-world insolence of 2006 in the afterglow of the April Uprising. Of course, you can’t read his mind. But some things are clear, even from deep within his recesses. The sad part wasn’t that that Nepal’s first elected republican prime minister couldn’t fire an army chief he thought was insubordinate. Nor was it Dahal’s decision to resign in 2009, citing his refusal to kowtow to ‘foreign masters’. It was the reality that few Nepalis took seriously what he considered a principled stand. If rigidity could prove so costly, why not change course? Indeed. And Dahal’s dexterity has been dazzling. Flexibility has allowed him to flex his muscles no less formidably than firearms once did. Amid the never-ending compromises under the peace accord and his departure from the premiership, ideological drift began endangering Dahal’s hold on the Maoist party. His return to the premiership in 2016 did little to reverse the damage done by party splits. 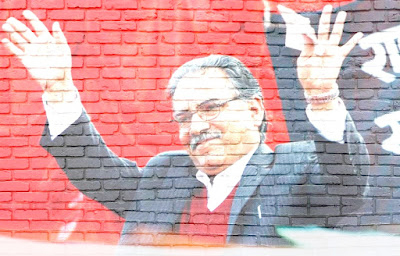 Before his detractors could force him to cede control, Dahal mounted a hostile takeover of the rival communist party. He lost his only son and perhaps closest confidant, Prakash, at the height of the election campaign. But he carried himself stoically in public events, eventually helping the unified communists to win a two-thirds majority in parliament. Today, as Prime Minister Khadga Prasad Oli muddles on atop the communist government, his party co-chair is consolidating power among Oli’s erstwhile Unified Marxist-Leninists. When the Bam DevGautam trial balloon burst last year, Dahal didn’t resort to recriminations. He has left us guessing about his next move. It’s hard to overlook the fact that each Oli misstep emboldens Dahal. But Dahal is in no hurry to jump in, at least not going by his public posture. Instead, he lashes out against the former monarch’s personal affairs, reaches out to the opposition Nepali Congress in a spirit of conciliation, and speaks out soaringly about tomorrow. Dahal says the Communist Party would have no meaning if it failed to make the country prosperous. Moreover, he says, prosperity is not possible from the government’s effort alone. Deng-ism alright, but heresy without doubt.And not for the first time – or last. Someone who spoke incessantly of ‘discontinuities’ during his first term as premier, Dahal is stringing together the past, present and future seamlessly. Maybe he means the same thing. But it does sound better now. Dahal is good at learning from his mistakes. Perhaps he even takes pride in that, which may help explain his heavenly aspirations.